We are very excited to introduce a new monthly club in Canada that may just be the perfect gift for any man in your life – unless he’s a vegetarian. The team at Carnivore Club ensures that you receive fresh and top quality selections that cannot be found at your local grocery store or butcher shop. Their partners are small producers because CC believes that they provide the furthest care and attention to their products. What’s great about Carnivore Club is each month, delivered right to your front door, comes a perfect wine pairing. They are also very generous in providing WineCollective members with $10 off their first shipment when you use the promo code WC10 at checkout. The WineCollective team has already ordered our first shipment and it’s headed straight for our office. 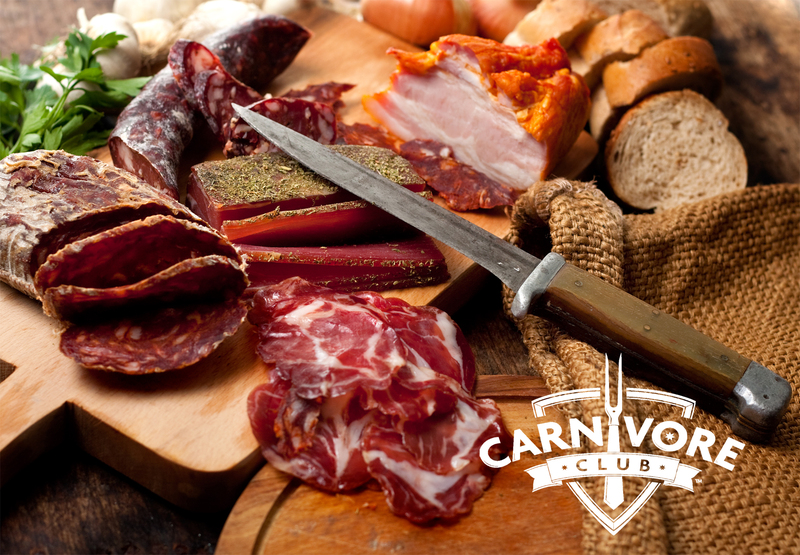 We plan on creating a perfect pairing between Carnivore Club and WineCollective selections. You can look forward to an upcoming blog post on what the office foodies cook up, recipe and wine pairing included! Clos du Soleil mixed wines package now for sale!